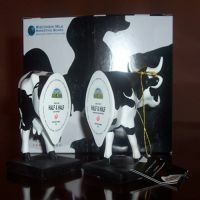 Half & Half | CowParade New Figurines | One Price Low Flat Shipping! 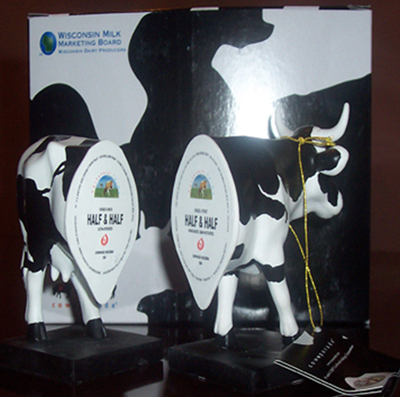 From the CowParade Collection, Half and Half. Designed by artist, Michael Robertson. Featured at the the CowParade Madison 2006 exhibit. Made of hand-painted resin. Measures 4" x 6". New in original box. This hilarious two-piece holstein cow is styled to look like plastic single serve creamers!